It was our first full day in Los Cabos and my friend Lynn and I woke up early enough to see a beautiful sunrise from our balcony at the Hilton Los Cabos. 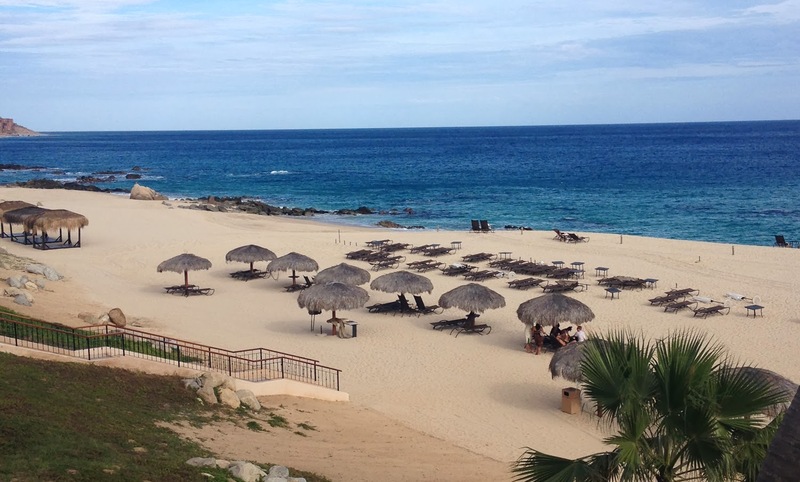 We then went down for breakfast at El Meson, for yet another seaside view before our 9:00 am pickup for A Taste of Los Cabos Tour. 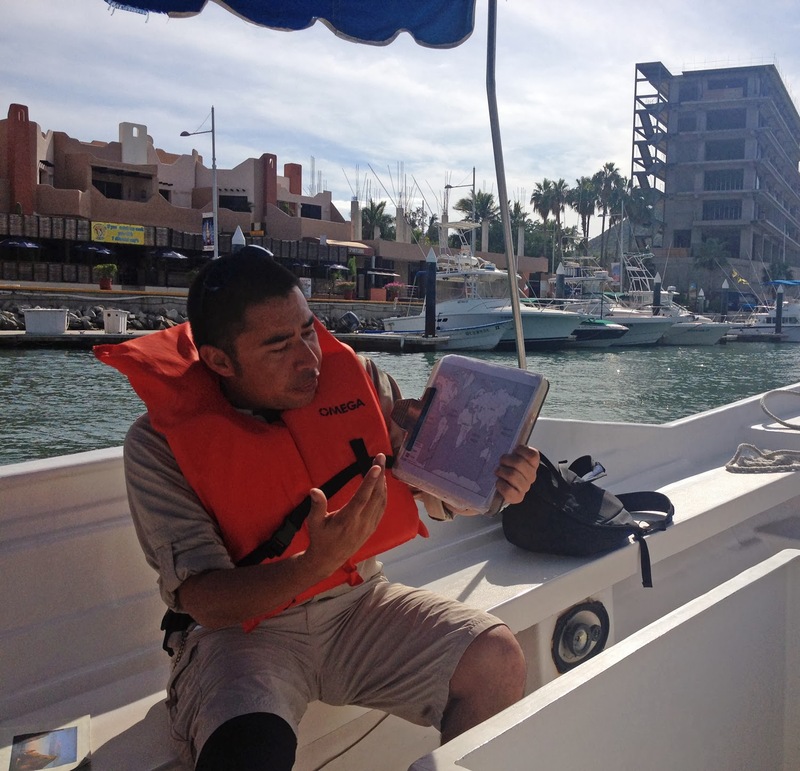 When the Los Cabos Tourism Board asked if I was interested in activities, I immediately gravitated to that tour. I wanted to see as much of the area as possible and this seemed to offer the best selection. It was a good choice. Mauro, a biologist who used to work exclusively with dolphins, was our guide for the day. He also told us about the humpback whales that would soon be coming from the sea along Baja, California, Mexico, the second largest peninsula in the world at 1,000 miles. Our first stop was at the brand new shopping mall and port, Puerto Paraiso. It was here that we were to pick up our glass bottom boat tour. We were warned that the water was a bit choppy and that was no exaggeration. As the boat rocked up and down, back and forth, I was glad I had brought my ginger chews. 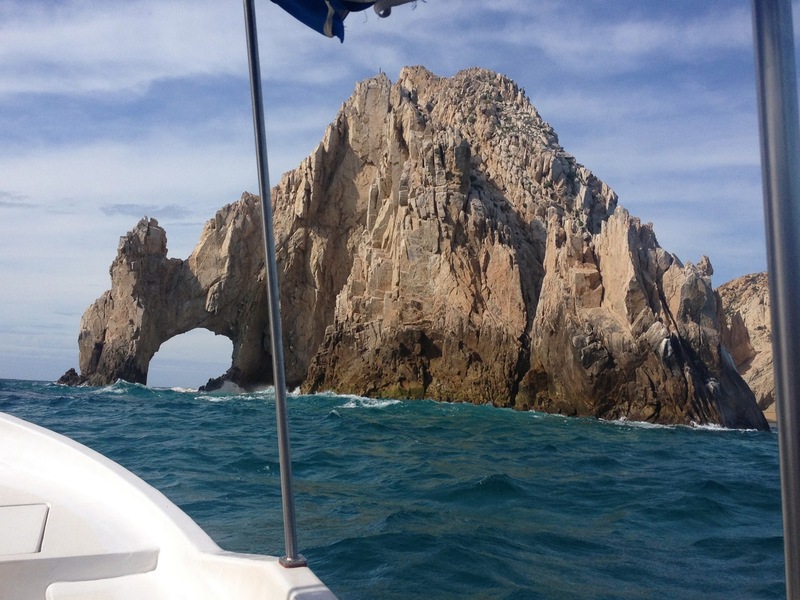 The views were worth the ride, especially as we reached El Arco de Cabo San Lucas and Pelican Island, where the Sea of Cortez and the Pacific Ocean meet. Mauro also pointed out Lovers Beach, which goes right through a tunnel to the Pacific Ocean on the other side. We saw some sea lions on the rocks. If the water been steadier, I would have loved to explore the area more, but the waves were getting higher and I was ready to head back. 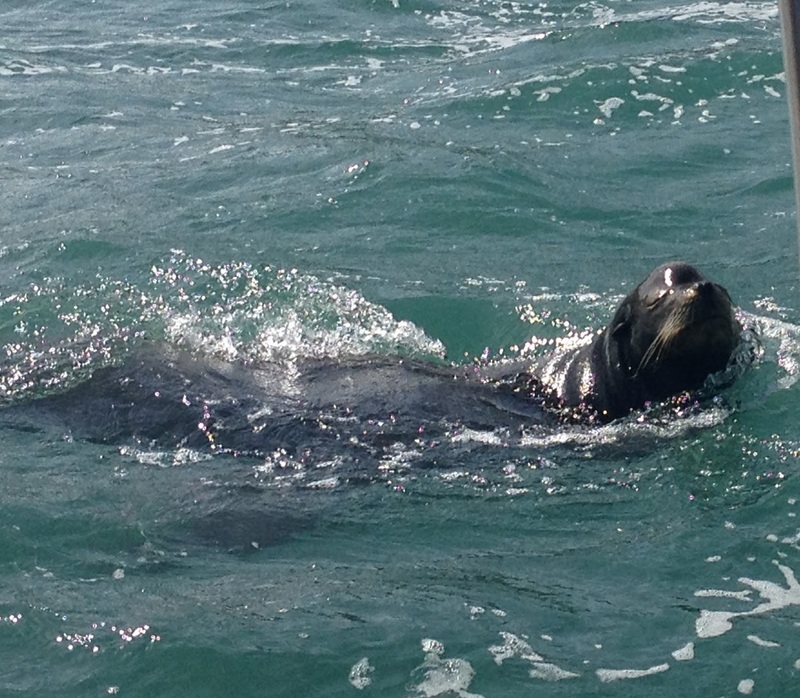 I wasn’t the only one as a sea lion followed us back to shore! 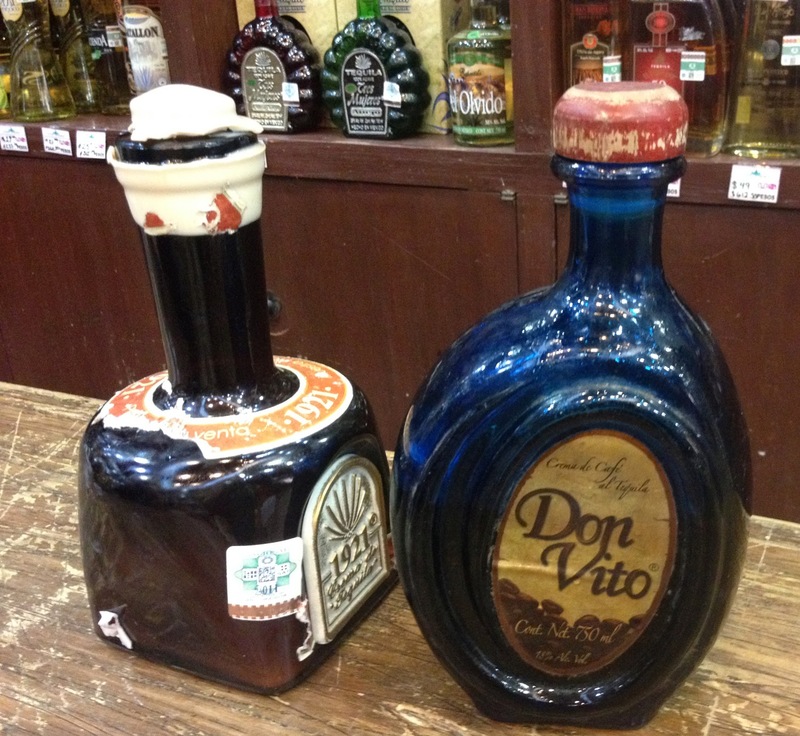 Before we left the port we walked through a few shops and tasted a variety of tequila, including a creamy coffee one that I vowed to pick up a bottle of before I left. 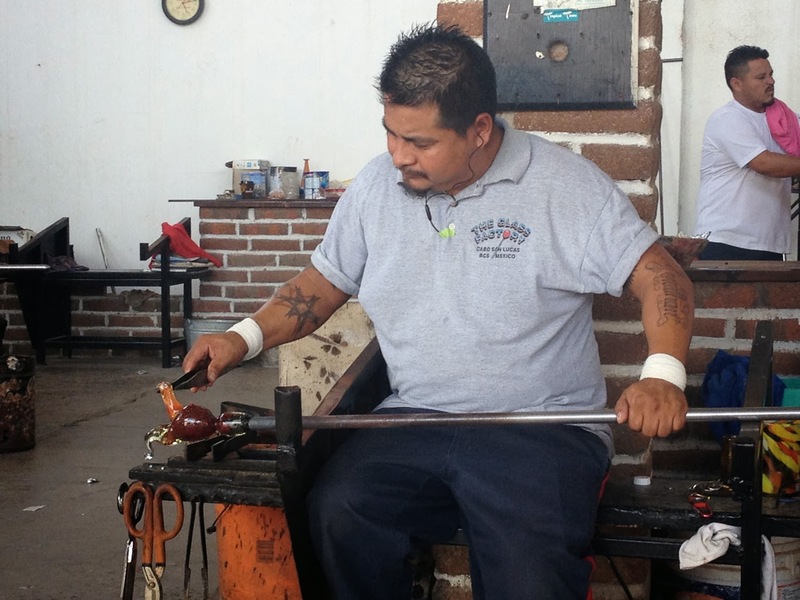 Our next stop was at the Vitrofusion Glass Blowing Factory, where we watched some demonstrations of the workers making glass animals before going into the store. Mauro then drove us down to San Jose de Los Cabos, a quaint village about 30 minutes away. 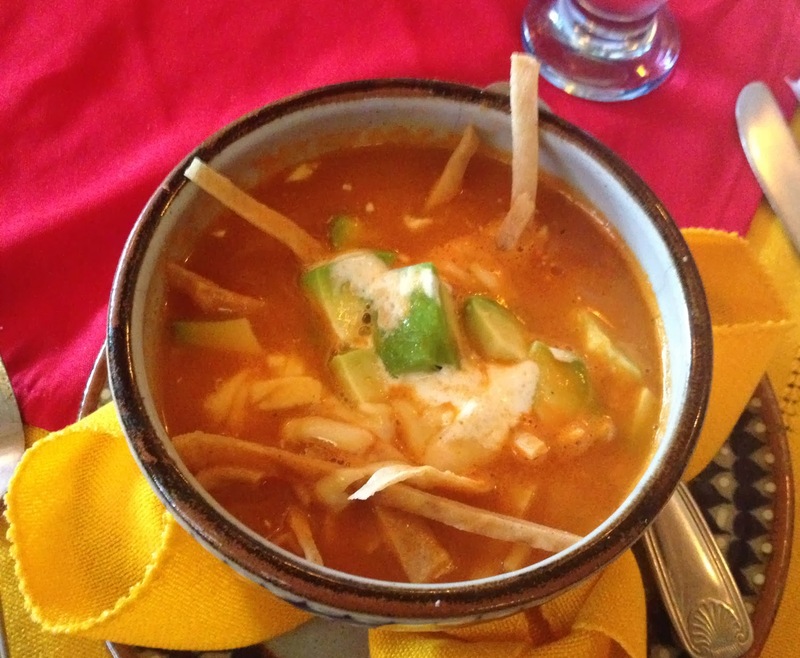 There we had an authentic Mexican lunch of tortilla soup (perfect, with fresh avocado on top), chicken fajitas and a smooth and cinnamon filled vanilla flan. We walked around the shops and looked at the jewelry and artwork before Mauro took us back to the Hilton Los Cabos. There was nothing on the agenda for the afternoon and it didn’t take us long to put on our bathing suits and land at the pool with pomegranate margaritas. 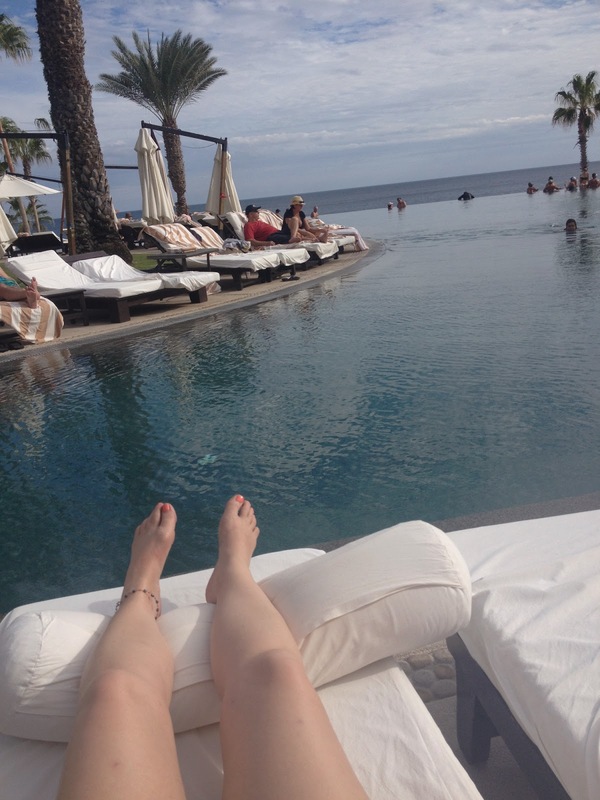 Lynn spent some time in the Jacuzzi, but I was content just laying on my lounge chair and walking through the infinity pool. We were too tired and comfortable to even think about getting showered and dressed for dinner. Fortunately, the hotel has extensive poolside service so we were able to order some more drinks (mango daiquiris this time), along with sliders and a veggie pizza. We ate by the pool, watching the remnants of the sunset. 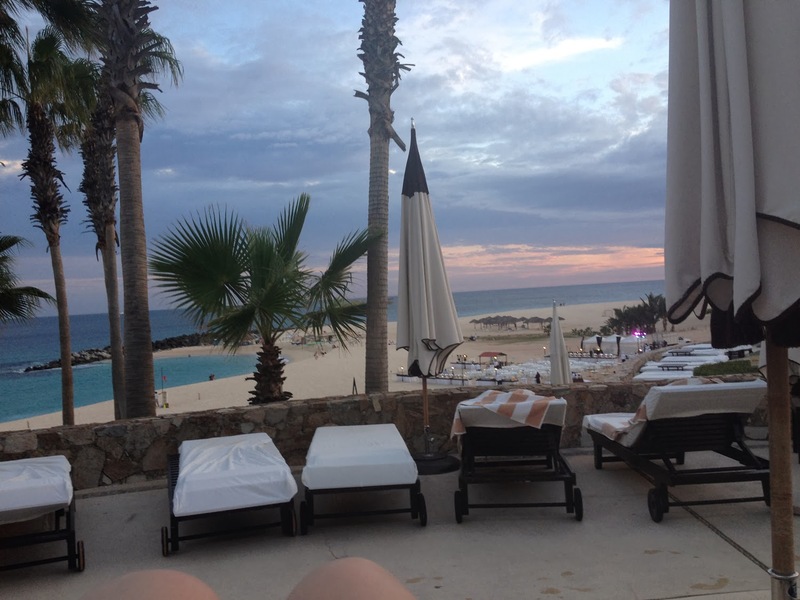 It was the perfect end to a perfect day in Los Cabos paradise.